Stiff peaks: These should be smooth and shiny with the peaks do not fall when the beaters are pulled out. To fully test this, slowly tilt the bowl sideways. 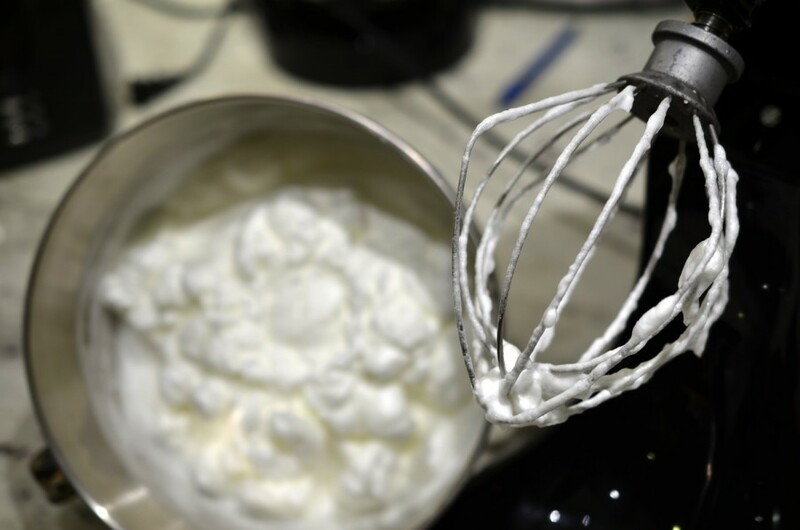 If the egg whites do not move as you tilt the bowl – even upside down, similar to the Dairy Queen Blizzard test – your egg whites are done.